Ten years after triggering a massive football festival with the hosting of the 2008 Africa Cup of Nations, Ghana will once more, play host again to the Nations Cup but this time, the women’s edition which begins in November. Eight teams are due to gather in Accra and Cape Coast over a two week period to determine the queens of African football with Ghana’s Black Queens determined to do what the men couldn’t do ten years ago. TV3 Sports visited the team at the Ghanaman Soccer Center in Prampram where the players and the management team have been camping for their preparations. It has been 27 years since Ghana were African women champions. Later next month, they will have a massive opportunity to change that. The Black Queens will face Algeria in the opening game of the 2018 edition before playing Mali and Cameroon in the group stage. For weeks, they have been getting ready in Prampram, shutting out the uncertainty over Ghana’s status as hosts. The Queens have fallen off the perking order in African football. For long, the bridesmaid in Africa women’s football behind Nigeria, Ghana, has watched on as the likes of South Africa and Cameroon have caught on and in some cases overtaken them. 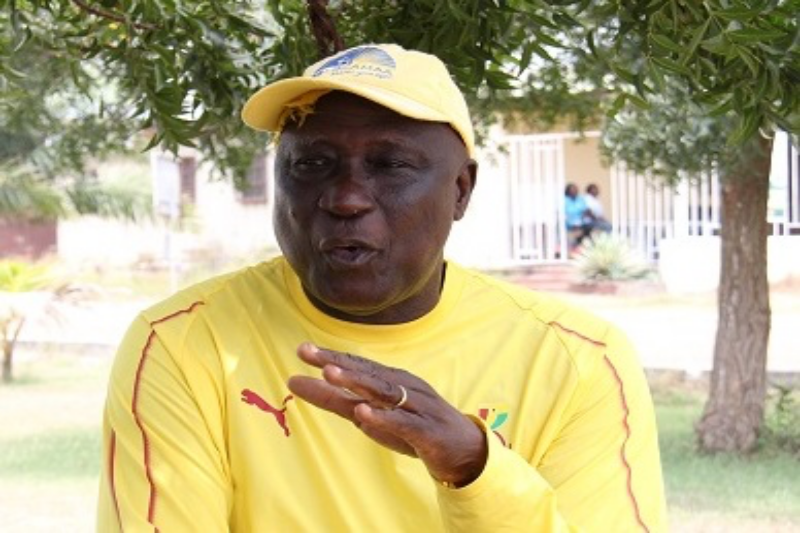 Coach Bashir Hayford is fully aware of that history but as he watches the ladies chase balls and go through their paces, she is convinced they will face the task ahead without pressure. “If I am a trained teacher maybe economics [and] I’m teaching at Asima Junior High and then you take me to Achimota then you say pressure? That is what I have learnt and so when I go to Achimota the way I will teach, same thing if I go to Mfanstipim I will teach so there shouldn’t be any pressure on me. For him, the pressure is “the atmosphere around and what the people expect” but even that he said, “the pressure will take care of itself. He added “but me as a coach I don’t have any pressure and this is because it is first time too Ghana is preparing very well to win the tournament’’. Janet Ayeiyam is one of those Hayford will rely on for goals. She is in no doubt they can step up to it. “It’s a privilege that we are in the team and we are playing in Ghana,” she said and promised the team will make it up for its failure to go into the final the last time, saying “this time, we are going to make it up. “As we are hosting, we are not just going to [the] competition just to take part, no, we are going to win the cup to qualify for the World Cup,” she added.